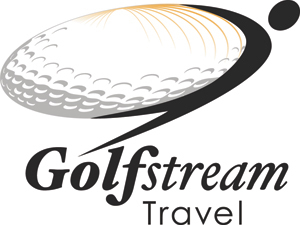 Experience one of the only golf courses in Naples, Florida designed by the world’s premier golf course design firm, Greg Norman Golf Course Design. Tiburón, at The Ritz-Carlton Golf Resort, Naples is a 36-hole championship course. 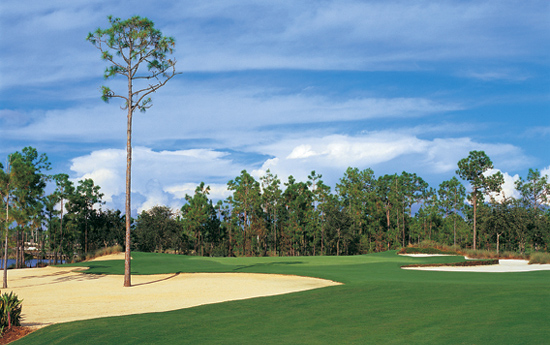 This uniquely designed course incorporates stacked sod wall bunkers and coquina sand, and does not contain rough. Players may choose from five tee boxes per hole to make the experience more challenging. 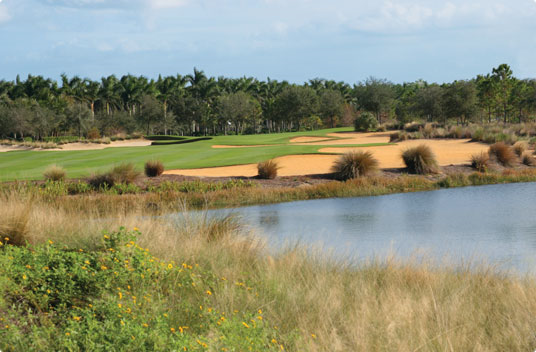 Our Naples golf resort features two 18-hole courses. Our Gold Course measures 7,288 yards from the Tournament tees and the Black Course measures 7,005 yards. Courses alternate each day for resort play. A full-service practice area with chipping and putting greens is also available. For those with eloquent style, luxurious taste and a tremendous respect for the game of golf, we present Tiburón Golf Club in Naples—the ultimate golf experience. 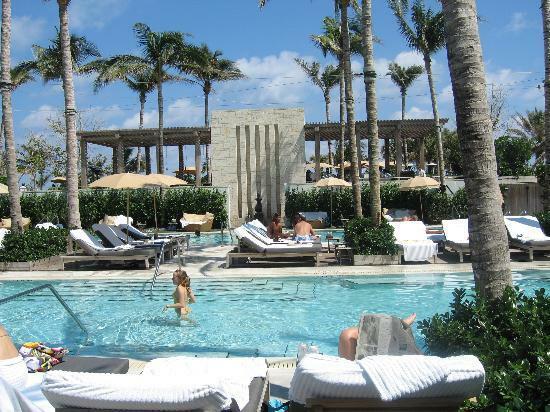 A collaborative effort between WCI Communities, Host Hotels & Resorts, owners of The Ritz-Carlton Hotel Company and Greg Norman, this unique Club of uncompromising quality and service is situated in prestigious Naples, Florida. Indulge in the splendor of unparalleled service, magnificent golf course views and exquisite dining at Tiburon’s Clubhouse, master your skills at the PGA TOUR Academy, or enjoy the many social, dining and golf activities offered at the Club. In the 27,000-square foot Mediterranean-style clubhouse you'll find the perfect setting to truly savor the Tiburón lifestyle. With three superior dining rooms, private member locker rooms and lounge areas, as well as a fully-equipped golf shop, members can enjoy elegant comfort combined with exceptional service. The member-only Fitness & Health Club includes state-of-the-art cardiovascular and strength training equipment, a spacious aerobics room, massage treatment rooms, men's and women's locker rooms, steam rooms and a club room for private member functions. Completing this facility will be professional trainers and massage therapists to tend to members' health and fitness needs. With all of its exquisite amenities, Tiburón's main attraction remains the two superb golf courses. The Gold and The Black, designed by golf legend Greg Norman. Tiburón golfers enjoy unique stacked sod wall bunkers, coquina shell waste bunkers and the absence of conventional rough. Following Greg Norman's philosophy of maximizing the natural allure of the land, each element has been carefully integrated to produce a pleasing atmosphere in which to appreciate the finer aspects of the game. Designated as a Certified Audubon Cooperative Sanctuary by Audubon International, Tiburón strives to protect and enhance its natural surroundings. Four lighted Har-Tru tennis courts. Barrier-free accessibility. Complimentary shuttle service is provided daily between The Ritz-Carlton Golf Resort, Naples and THE RITZ CARLTON NAPLES The shuttle departs the golf resort on the half-hour between 9:30 a.m. – 5:30 p.m. and departs the beach resort on the hour between 10 a.m. – 6 p.m.
American Bistro offering contemporary American cuisine with seasonal ingredients. Serves seafood and premium cuts of meat. 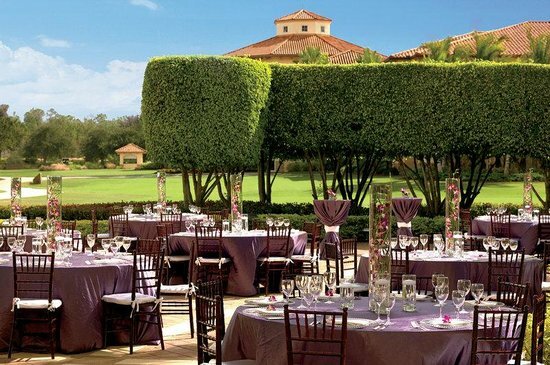 Casual indoor or al fresco seating overlooking the Tiburón Golf Club. The Bella Vista - This comfortable, casual lobby lounge sits beneath high beamed ceilings and ceiling fans, with a gleaming mahogany bar with upholstered stools. Serving fine wines, champagne, cordials, and an array of martinis. The bar menu includes antipasto, chilled Gulf shrimp, and Osso Buco Quesadilla. Nightly piano entertainment. Open late morning until late evening. The Bar - Reminiscent of a quaint Scottish gentlemen's pub and located adjacent to the Billiard Room, this bar offers a variety of small-batch bourbons and rare scotches. Open mid-afternoon until late evening. The Poolside Grill - For a light lunch or something frosty, the grill offers classic burgers and club sandwiches, crisp calamari, grilled Florida grouper, fruit smoothies (spiked or not), and creative tropical drinks. Open mid-morning until late afternoon. e(X)presso - This Italian coffee bar serves espresso drinks, teas, and pastries for those on the run. Discover The Ritz-Carlton Golf Resort, Naples and experience the breathtaking beauty of Florida’s Paradise Coast. With the Greg Norman-designed championship golf course, Tiburón right outside the door, The Ritz-Carlton Golf Resort, Naples is just steps away from some of the most memorable and stimulating golf. The resort features a stunning British Colonial décor that reflects the games’ origin, while the innovative amenities point the way to the future. The Ritz-Carlton Golf Resort, Naples is a AAA Four-Diamond, Mobil Four-Star Mediterranean-style sanctuary that offers 295 well-appointed guest rooms, including 31 club rooms, 40 suites and a Presidential Suite, as well as three exceptional dining establishments, 12 unique, spacious meeting rooms, the Tiburón Golf Course and a large pool area with poolside service. Guests at The Ritz-Carlton Golf Resort, Naples are also encouraged to enjoy access to the services and amenities at the neighboring Ritz-Carlton, Naples beach resort via a complimentary shuttle service between the resorts. Only three miles away, The Ritz-Carlton, Naples beach resort boast dazzling views of the Gulf of Mexico, warm golden sunsets, three miles of pristine beach, seven unique restaurants and a world-class spa.